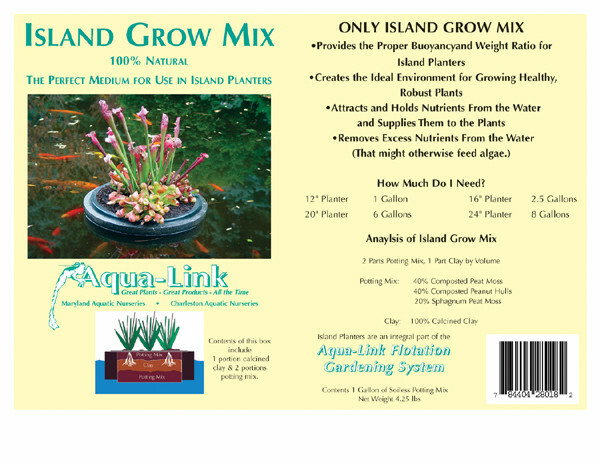 Island Grow Mix is 100% natural (calcined clay, peanut hulls, pine bark & peat moss) and provides the proper bouyancy and weight ratio for Island Planters. Creates the ideal environment for growing healthy robust plants. The calcined clay component attacts and holds nutrients, that might otherwise feed algae, from the pond water and supplies them to the plants.